Mayors from across the country were at Las Terrazas Resort on Ambergris Caye on Friday July 18th as part of the monthly Belize Mayor's Association (BMA) meeting. This month, the Mayor of San Pedro Town Daniel Guerrero hosted the Mayors from the various municipalities of Belize, and several areas of mutual concerns were discussed. 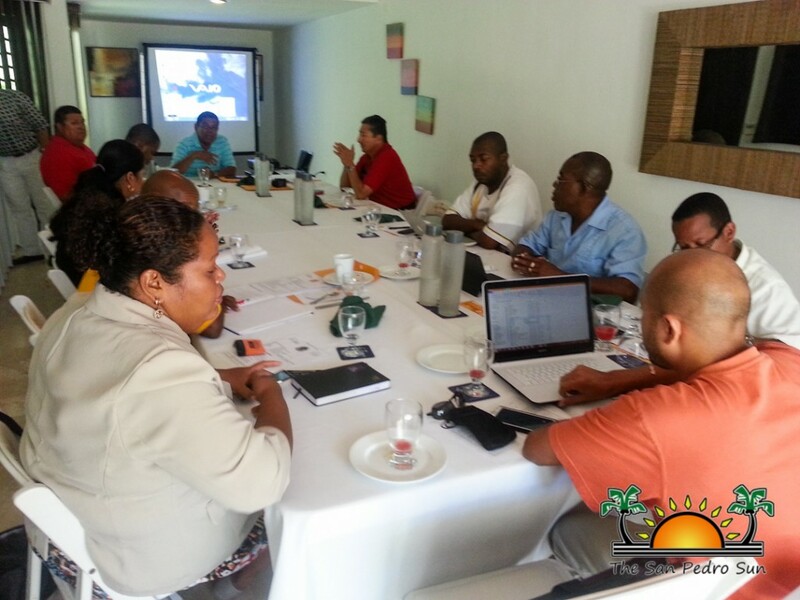 According to the Mayor of Belmopan and President of the Belize Mayor’s Association, Simeon Lopez, during the monthly meetings, the mayors discuss projects and plans for their respective municipalities. “We keep in touch with what is happening in the various municipalities through these meetings. We had presentations on the Belize Municipal Development Project (BMDP) which is basically a plan that shows how we intend for the municipality to grow by 2030. 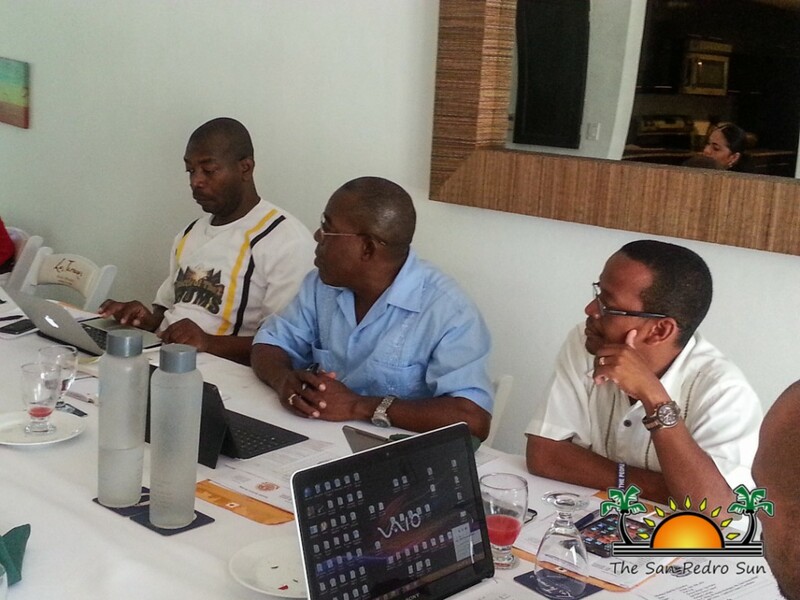 We also had a presentation by the country coordinator of the Caribbean Local Economic Development Program (CARILED). She shared information about the project and how it intends to grow in the fiscal year 2015/2016,” said Lopez. He added that the BMDP is in its second phase, which will see the execution of various infrastructural projects in some municipalities. Lopez said that the Mayors have agreed that before the next BMA meeting in August scheduled to take place in Punta Gorda, they hope to meet with members of the Central Building Authority (CBA). According to the President of BMA, the regulation and expectation of the CBA is a challenge for the different municipalities especially with issues having to deal with the approval of building plans. Mayor Lopez also confirmed that he will be accompanied by Mayor Daniel Guerrero as part of the Belize delegation at the Biennial meeting of the Caribbean Association of Local Government Authorities (CALGA) in the Bahamas in August. Lopez is the second Vice-President of CALGA and at the meeting, new members will be elected. Following various presentations, the Mayors presented a report on projects being carried out at their various municipalities. They also discussed areas that the Belize Mayor’s Association constitution can be revised. 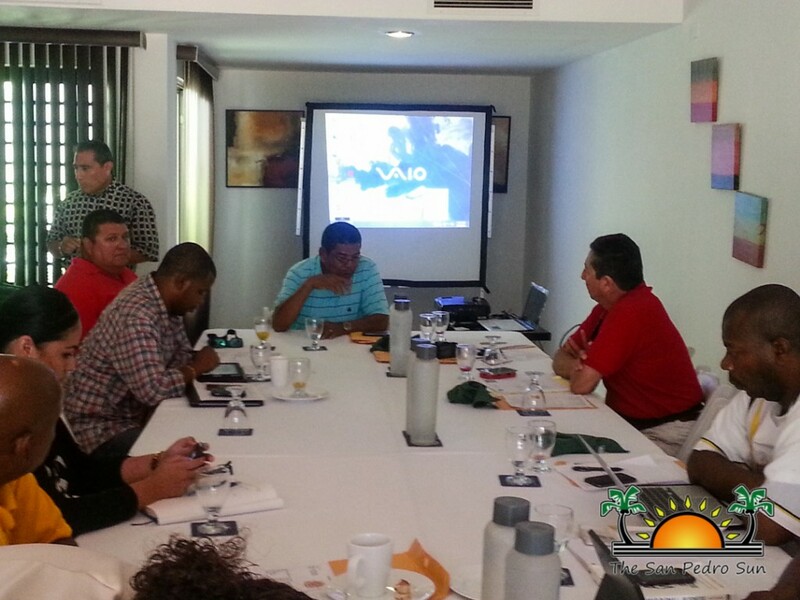 Absent from the meeting was Corozal Mayor Hilberto Campus, Mayor of San Ignacio John August and Mayor of Benque Viejo del Carmen Miguel Velasquez. Costa Maya Presents: Miss Honduras! !